Please note, grants for renovations have been cut back in recent years and not all local authorities will be able to offer them, even if you fit the eligibility criteria. Buying a house is possibly one of the most expensive purchases you will ever make and buying a property at a cheaper price because it needs renovating can prove even more costly, particularly in today’s climate. Gone are the days when you could purchase a derelict building transform it into a palace and make millions in profits when you sell up. However, most local councils now offer grants to help with the costs associated with renovating a property. Renovation grants were introduced to provide financial assistance towards substantial repairs or improvements that need to be made to a property to make it fit for human habitation. Homeowners, landlords and, in some cases, tenants, have access to a renovation grant, but they do come with very strict guidelines. These grants are provided at the discretion of your local authority and are means-tested. This basically means that the amount you will receive is dependent on your income, so the more you earn the less the grant will be. There is, however, a maximum amount that can be awarded and this is £20,000 for owner-occupiers and tenants and between £10,000 and £15,000 per unit for landlords, although, this is dependent on the landlords overall plan of letting of the property. To be eligible for the grant, the property itself must have been built more than 10 years ago, can’t be a second or holiday home and, in the case of owner-occupier applications, it has to have been occupied by you for at least three years before you make the initial grant request. There are also some conditions to the grants being offered which have to be adhered to for 10 years by owner-occupiers and five years for landlords. If the conditions are breached at any point during this time then the grant must be repaid to the council that awarded it. This also applies if the property is sold within the condition period. Renovations that qualify for a grant are, basically, those that are needed to improve the property up to the Decent Homes standard. This can include improvements such as damp proofing, re-roofing, the replacement of windows and doors or improving insulation and heating. When you apply to your local authority for a renovation grant, you will need to provide them with some additional details. These include, two itemised estimates for the work that you wish to carry out, plans and specs if they are necessary and a deed of agreement document. When drawing up your plans and working out the costs involved in the project, you must always get quotes from at least three places, this way the local authority will be able to make an informed decision based on an average project cost. This information will then be supported by an application form that you can get directly from your local authority. If you need any form of consent, whether it be planning permission, building regulation approval or listed building consent, then you must have approval from the relevant bodies before making an application for the renovation grant. The main thing that you must remember is that the renovation grant will not be awarded for any work that has already been started on a property, so make this your first stop! My house was built in 1903 and after a serious leak in the kitchen, I have been told that I need extensive damp proofing carried out in that room.Am I eligible for some assistance with this? I am a pensioner and own a flat that I have been renovating which is 80% complete having been rewired, new ceilings, re-plastered throughout, re-plumbed, and a new kitchen (50% fitted). 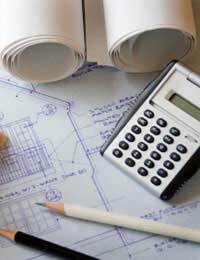 Unfortunately due to a promised loan from a family member not materializing I have now run out of funds to complete the project and I am inquiring to see if it is possible to get a loan or grant as I cannot get a mortgage from a building society due to my income being below 12,000 pounds per annum. We applied for disable adaptation in 2015. Council and professionals agreed the need for the adaptatio. And after that, there was dispute the way they conducted the assessment. Finally we agreed the concil ’s very minimal work which the council said any work we carry out will be within existing foot print. Which we would lose our family space. It's almost 4 years now nothing happened. Everytime I contacted I will be given extension of time. I have disable child and 87-year-old mother with severe mobility problem. It's very stressful but the adaptation don't care. If a grant was obtained for a new stone barn roof, what are the restrictions? does the grant have to be paid back if it is converted into a house. Thank you for your help,if so is it from applying for the grant or when money is paid over. I am a home owner. I've lived in my house for 19 years. I'm disabled and 60 years old, I live on my own. Is there a grant available for me to get a new roof.? Good day, My property is 100 years old, there is a stone retaining wall to the front of the property directly on to the main road. The retaining wall is cracking and beginning to lean towards the road. Are there any local authority grants available to help with the cost of repair/rebuild. It is stable at present however may become unstable/unsafe in the near future. Any advice much appreciated, Wrexham County Council, North Wales. My wife brought a house which is roughly 100yrs old the roof is leaking and some of the interior walls are crumbling is there any help she can get at all. Thank you. Are there any dry stone walling grants for private housing.my house is surrounded by dry stone walls which lead onto fields and a lane. Hi just was wondering we have damp in one of the bed rooms we have changed window still water and damp coming inside. Was wondering can I get damp proof done with help towards cost please. We bought our council house 1999 but have not touched the electrics.The house was built in th 1960's and badly needs rewired. Would i be eligible for a grant. I am retired. I have pip and esa at the.higher rate. I live on a noisy road. I have double glazing. But it's basic and indlqute. I am bit deaf but with noise upset my heightened hearing. The noise noise come from the two front windows. I have major diagnosed depression and aspergers. And been tested for extra sensory hearing. Are there any grants available for old electrics eg. Old electric fuze box?? I am living on the Graig, Pontypridd and earn a small wage, I am 63years of age on a small wage. I have recently started decorating and find i have a lot of damp and woodworm, would i be entitled for a grant as i really do not know where to start? We bought a house wich is situated between two council propertys.the other properties which are on either side will shortly be having new roof tiles and felt .will we be entitled to any grants that will include our roof being renewed to match the other joining properties.